This luxury camping site is located by the Tuscany coast and only a short drive away from the village of San Vincenzo al Mare. Families of all sizes can expect to partake in a variety of natural and man-made activities; perfect ways to enjoy a bit of rest and relaxation in a truly stunning climate. For further details in regards to what this location offers or to enquire about reservations, you can feel free to contact LuxCamp at your earliest convenience. 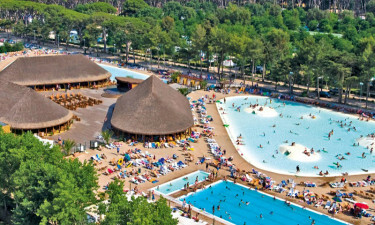 Please note that in the period from May 3rd to May 6th 3.000 young kids will visit the campsite. 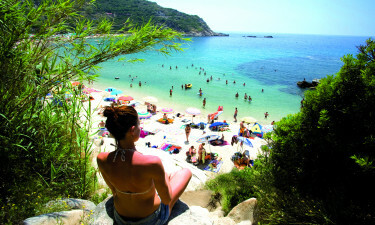 The island of Elba is known as boasting some of the most picturesque beaches in the world. As the white shores and cerulean blue waters are only one kilometre away from this luxury camping facility, enjoying salt water bliss has never been easier. 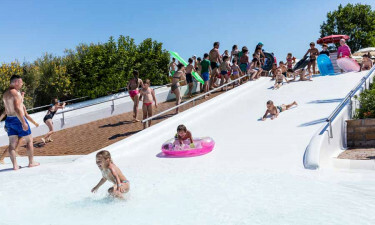 Also, the park contains an open-air pool with water slides and areas specifically designed for children. What aspects allow the holiday camping site of Camping Park Albatros to be the perfect camping holiday? No visit to the Tuscan coast will be complete without viewing some of the ancient villages along the shore. Towns such as Campiglia and Suvereto are quite close and for those who enjoy a bit of nature; Park Albatros provides a massive variety of beautiful flora and fauna. These destinations will leave a lasting impression upon any traveller who is eager for a taste of the exotic. 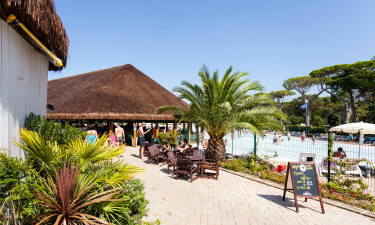 If you desire a true taste of Tuscan cuisine, you will be happy to know that there are two restaurants and a takeaway bar located within this holiday camping site. From locally caught fish to delectable meats and famous Italian ice cream, there is indeed something for the whole family. Three bars which are close to all bungalow tents and mobile homes will additionally provide a nightcap or an aperitif before a sumptuous dinner. The Park Albatros Supermarket is your one-stop shop for fresh bread, frozen foods, fruits and vegetables. Of course, it is found nearby the centre of camp. An eclectic and interesting bazaar will also supply you with camping gear, pharmaceutical products, foreign newspapers and a wide variety of souvenirs. To learn more about how this site redefines camping in luxury, please contact Lux-Camp for additional details.